Perhaps the greatest story in the history of science and one of the most poignant, fascinating, complicated and ultimately destructive subplots of the Second World War. Nieles Bohr and Werner Heisenberg were two of the towering giants of atomic physics. They were also great friends and the love inherent in their father/son relationship is easy to see in their correspondence. They would often disappear for days on end skiing through the mountains talking endlessly about the atom. Perhaps each had found the only other person on the planet who could understand their thoughts. However, this hugely meaningful and successful relationship was to change forever when the Nazis came to power in Germany in the 1930s. Bohr was Danish but born of a Jewish mother. Heisenberg was German and determined to stay in his homeland to help rebuild the country after the war. As the war loomed and the horrors of the Holocaust began both men’s live diverged. Bohr, practically royalty in Denmark, used his mansion as a refuge for Jews fleeing Germany. Heisenberg was drafted into the German war machine and into a role which would see him directly oversee the Nazis atomic bomb project. 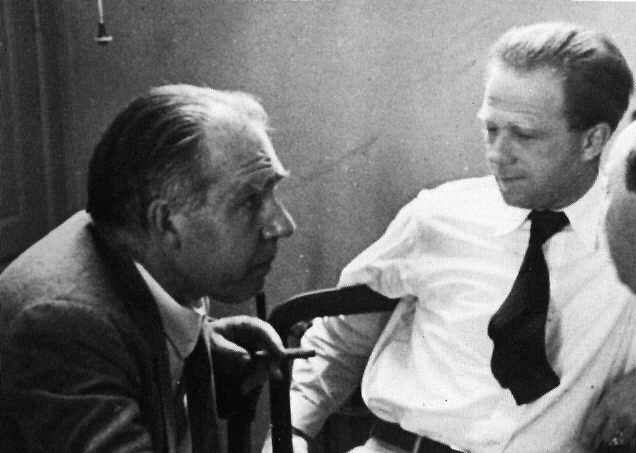 Incredibly, in 1941, at the height of the war, Heisenberg went to Copenhagen to meet Bohr. The events of that meeting are shrouded in mystery, but what was said, and more importantly what was interpreted to have been said, set in place a chain of events that would ultimately lead to Bohr’s escape to America where his work on the Manhattan Project resulted in the bombing of Hiroshima and Nagasaki and the end of the war. This excellent documentary tells their amazing story adding new insights through the discovery, long after both men were dead, of unsent letters Bohr had written to Heisenberg giving his account of what had been said that night in Copenhagen. For more check out Copenhagen, a film version of the meeting starring Stephen Rae and Daniel Craig based on Michael Frayn’s brilliant play. 10 Genius – The Copenhagen Fallout from Discovery College on Vimeo.